As Florists, we are subject to so many different varieties of flowers. You’ve heard of daisies, but did you know that there are over 20,000 species of plants that are a part of the daisy family? Did you know that there are over 150 different species of roses? There are about 30,000 different species of Orchids and today we will be discussing the 4 that we find most interesting. 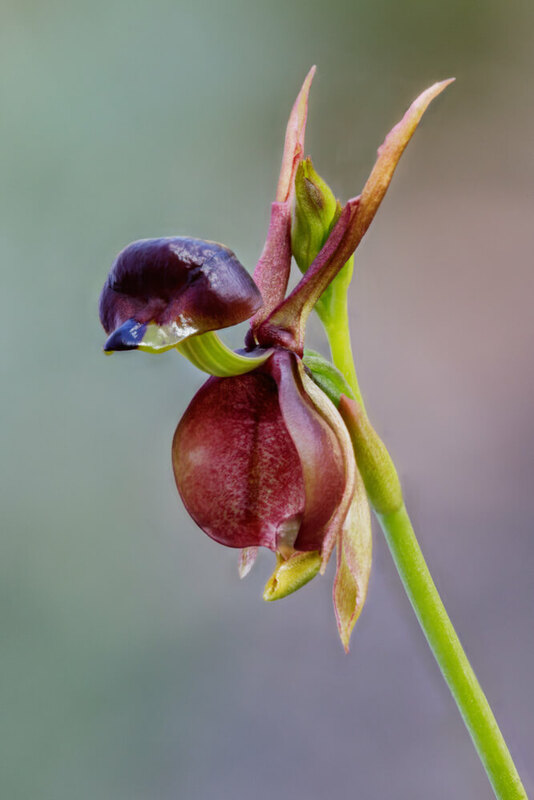 The Caleana Major, more commonly known as the Duck Orchid can be found in Australia and New Zealand. Upon looking at this image you should immediately realize why it is also known as the Duck Orchid. The leaves of this plant are formed in such a way that it looks like a duck in midflight. 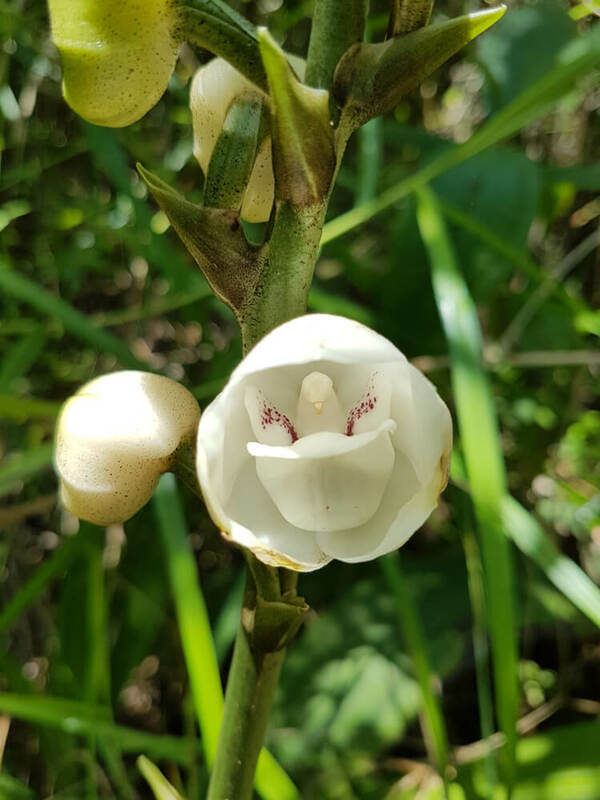 This clever little plant has evolved to trick the male sawfly into believing that it is a female sawfly and helping with the orchid’s pollination cycle. This plant has landed itself on Australias Vulnerable Plant List because it needs a special kind of fungus to grow and the habitat in which that fungus lives is slowly diminishing. In 1986, the Australian government released a series of stamps featuring this unordinary plant. You may not be able to grow your own Duck Orchid, but if you manage to find the stamp, be sure to keep it forever. The Dove Orchid, also known as the Peristeria Elata, is also known as the Holy Ghost Orchid, Holy Spirit Orchid or the Bird Orchid. People refer to the Peristeria Orchid with all of these alternate terms because if you look closely, the center of the flower resembles a dove. The Dove Orchid can be found in Panama, Costa Rica, South America and Trinidad. This flower tends to grow in large numbers and have been known to grow in both August and September. Fascinating enough, these plants can be both epiphytic and terrestrial. 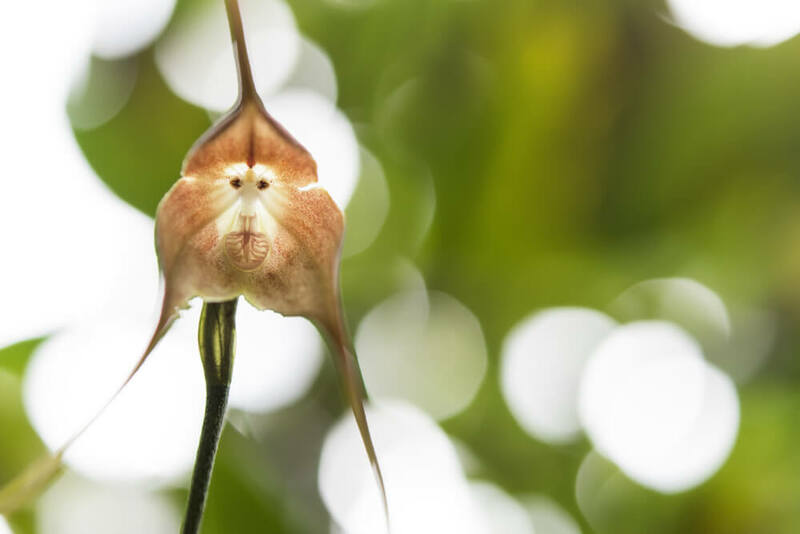 The Monkey Orchid is known by some as the monkey like Dracula as it’s scientific name is the Dracula Simia. If you look closely at this plant, you’ll notice that this plant more closely resembles Curious George than your average Orchid. These flowers are only grown in the cloud forests of Southeastern Ecaudor and Peru, so needless to say, you won’t be able to pick these up from your local florist. 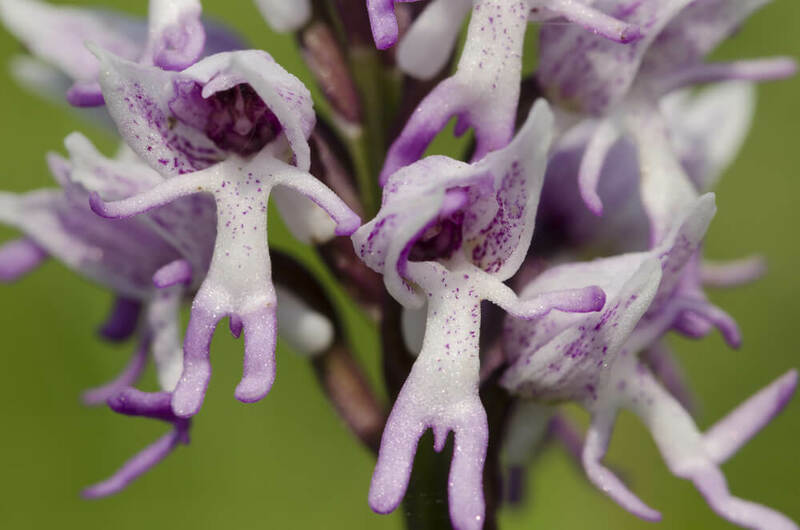 The Seeds of the Orchis Italica resemble a naked man. If you look closely enough, you’ll see what looks to be a man with arms legs and other human like features. Sometimes it even seems as though the tiny man inside the flower has eye and a mouth. This plant often comes in different shades such as pink, white, purple and sometimes even yellow. This flower is native to the Mediterranean. As you see the Orchid comes in many different shapes, colors and sizes. Luckily for you, you can own or gift an orchid as early as today. 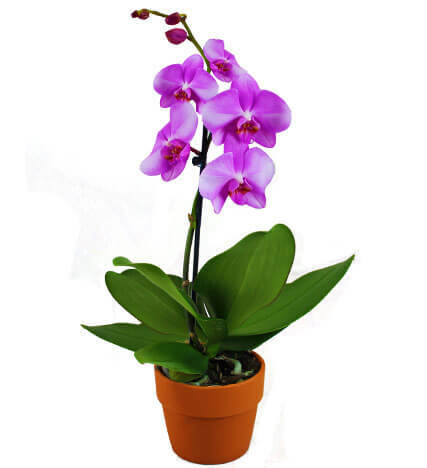 Shop Avas Flowers and see our Beautiful Orchid Collection. What are you waiting for?